I can't remember precisely when I bought it, or precisely when I read it for the first time, but I do remember that it rekindled my love of folktales and folklore. The story starts in modern Ireland, although the precise time is indeterminate, which I rather like. It then moves into the realm of faerie. For some reason crossing over between our world and faerie always seems more reasonable when it's done from Ireland. Perhaps it's because so many faerie stories seem to come from Ireland. Perhaps there is something about the land lends itself to storytelling and to the fantastic. The main characters are ten-year Pidge and his younger sister, but although this book would be acceptable for children, it is most not a children's book. (For one thing, it's 674 pages.) 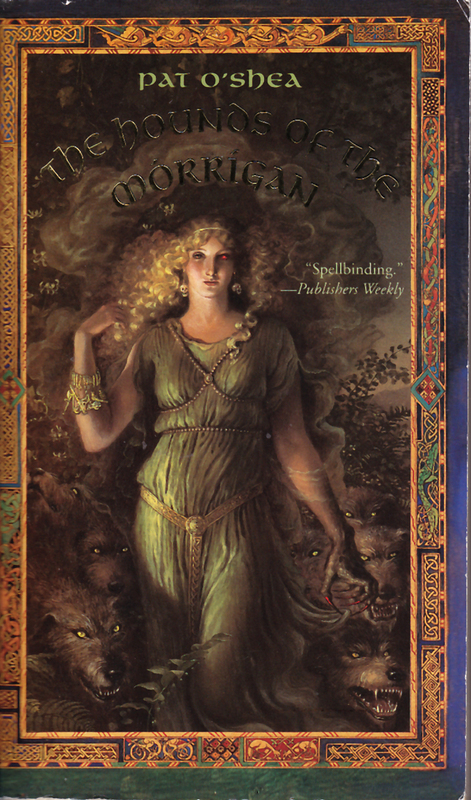 The story draws in characters from Irish mythology, and makes me want to go back and read the original stories, like the tale of Queen Maeve, although this book does what some of my folktale collections fail to do, which is translate the oral tradition into the written word. It might sounds strange, but stories that were meant to be told do not always translate well when put directly into written form. I'm not sure what it is about the story I find so compelling. You know quite well that considering their ages, nothing too terrible will happen to the characters, yet I worried about what would happen to the characters that surround the children, and how it would affect them. There was one particular passage that struck me. It is describing a quarrel between the Sergeant and the Manager, both of whom have been manipulated by aspects of the Morrigan. Whenever the Sergeant and the Manager met after that day, hostility lay like a force field between them. This was very sad, as they both loved growing roses more than anything else in the world and they could have been friends for many long and happy years. For so reason I find that passage quite sad. Probably because it seems so true. And the cover is gorgeous too--front and back.